Surgery Day - Covered in Prayer! Our first surgical team successfully completed their first cataract surgery yesterday! We are SO thankful! We have looked towards this day for some time now and even with some obstacles that come with working in developing countries, God has shown brightly! We know that it is only because of His grace and provision that we stand here today celebrating the gift of sight restored to our beautiful Haitian neighbors. We rejoice in the opportunity to help more and more to See Him! All praise and glory and honor to the One who alone gives sight, now and forever! 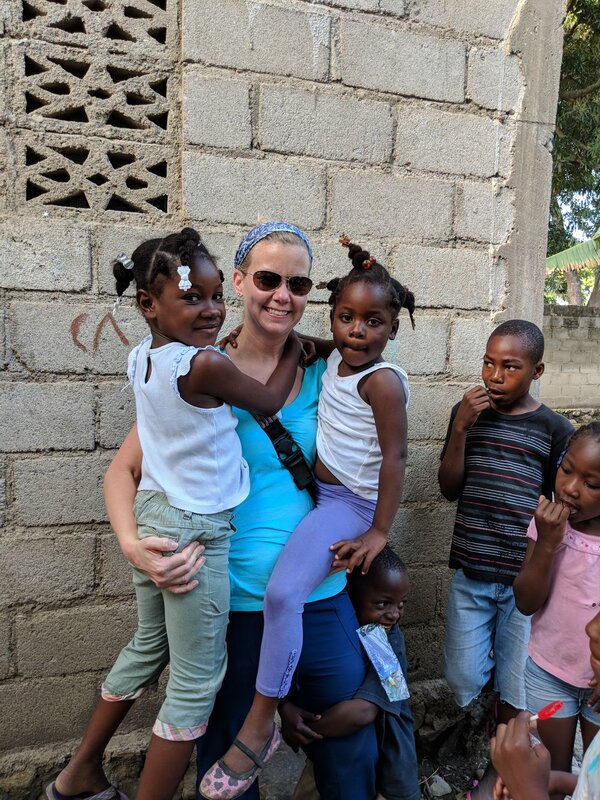 We are thankful for the shared experiences that God brought to both our American friends who were visiting See Him and our Haitian neighbors these past few days. They sweated together repairing roofs, laughed and grew closer together while sewing and encouraged each other as they shared God's word together. The sweetest of times occur together - different(country, culture, language) but the same(vulnerable, willing, gentle, made in God's image, loved by Him). Pray with us that God will grow the seeds that were planted in all hearts so that He gets all the glory. He is amazing! We are hosting 7 teams this month. We have just completed our 2nd annual Medical Conference onsite where 37 healthcare providers(physicians, nurses, support staff) were able to obtain continuing medical education credit. We are in the process of opening a lab in the Medical Clinic whereby we will be able to provide even better care to our medical patients. The equipment is to be shipped this month. Dr. Luckson Previl will be working in the Eye Center throughout the entire month of March. We continue to reach into the community through Soccer With a Purpose as well as other community building efforts. We focus on working with our Haitian neighbors so that all in Haiti may See Him more clearly. Waiting on God, Fearless to Move, Trusting His Provision! We are thankful for our staff at Every Eye Will See Him Ministries! They were able to celebrate Christmas together at a party recently. We are praying for an exciting new year as we begin our second year operating the medical clinic and eye center! The clinics have been running around 10 months now. The summer was busy as we hosted several teams in the guesthouse. We are thankful for all that God has been doing through so many over these months. A big thank you to all of our financial supporters as we could not do this alone! Your support goes a long way to providing supplies, medications and salaries for our staff in Haiti. The Medical Clinic has been running Monday through Friday 8:30 - 4:00 seeing maybe 30+ patients each day. The Eye Center has been opened and running when Dr. Luckson has been in Haiti. Many patients have been cared for and shown the love of Christ by our great staff. We have seen so many answered prayers over the months including how He has brought Spirit-filled, servant-minded people on staff. We continue to rely on Him as there are certainly obstacles and challenges along the way but we are committed to thanking the Lord in all circumstances and trusting in His provision! Please join us in praying for this work! Luckson will be in Haiti in September and will be working on recruitment of an ophthalmologist full time. We are working toward the opening of a lab in the medical clinic. We would like to add a vehicle that could be used to transport patients too sick for our clinic to other medical facilities. This vehicle could serve other purposes as well. Lastly, join us in praying for Haiti as Hurricane Irma could impact the country in the coming days. More Blessed to Give Than Receive! Last week, this precious lady visited our medical clinic and she walked away with a little support by receiving this walker at her visit. From my understanding though, she provided encouragement and blessing as our staff were reminded of how we are blessed through giving! Join with us as we continue to work hard to share Christ's love with our sweet Haitian neighbors! We are thankful to all of those who have partnered with us in prayer and we ask that you continue to lift up this ministry! Pray that God will continue to open doors for us to serve with the community and that the seeds that have been planted will grow for His Glory! Pray that God will bring to us a full time ophthalmologist for the Eye Center and that He will continue to strengthen our staff as they grow and serve together. He has been so faithful in assembling a Spirit-filled, servant-minded group! Join with us financially through monthly donations. Check out your giving options at the bottom of our website page! A big shout out to all of those who made the Cathy Pearson Memorial Medical Clinic and the Fortune Previl Memorial Eye Center Grand Opening and ribbon cutting ceremony so special! What a great day we had! There were approximately 150 people in attendance for the presentation and meal afterwards. This day marked the culmination of months of construction and preparation and is the beginning of what God has planned for this community. We at EEWSHM look forward to how He will continue to lead us in ways that allow us to point more and more to Him and then to embrace what He has to offer which is life that is free to be lived boldly, without fear for His purposes with hope no matter what struggles come. "On March 31st-April 2nd, a group of 9 Haitians including myself embarked on a journey to an area south of Cayes to provide relief to our brothers and sisters in need. This was a long 14-hour trip with beautiful breathtaking countryside. The beautiful countryside with blue clear ocean water surrounded by mountains portrayed the greatness of God. We left CAP at 6:00 am and arrived in Cayes at 10:00 pm. Early morning on April 1st, our contacts showed up at our hotel to take us to the village where we would be providing food, building materials and money for small businesses. I have seen poverty and have lived in poverty, but I have not seen it quite this bad. Nonetheless, the people were pleasant. To be honest, I started to question God’s goodness and His plan for these people. Moise quickly reminded me that God sent us to help, and he spared their lives so that these people could see Jesus through us. We hope that possibly through this relief mission, they may find a relationship with Jesus. I wish that I could build new houses for all these people and give them food forever. I was reminded by brother Pierre that I am not those people’s savior, but God is. I must believe that God will take care of them the same way that he spared their lives from Hurricane Matthew. On Saturday, we worked on a couple houses, distributed food, building materials and clothes to over 75 families. After wrestling with all these deep inner questions, I woke the next day with a new plan to be the hands and feet of Jesus. We divided ourselves into 2 groups, and we went from house to house to provide funding for small businesses. These people had no idea who we were and why we were helping them until we told them. We did not tell them our names, we just told them that we were Christians that God sent to their rescue. We prayed with them and provided small business funds to over 40 families. It was a great feeling to see how God worked by sending us to these people that we never planned to go visit. God indeed has a plan for his people, and we just need to be obedient and play our parts as followers and servants of Jesus Christ." God knows everything that is happening with See Him ministries even before it happens. In fact, He is orchestrating it all. Beyond the Medical Clinic, beyond the Eye Center, beyond the Guesthouse, He is using this ministry to reach those in need in the local community as well as those far away in the south of Haiti. We are so humbled and excited to just be able to be a part of it and so many of you are a part of it as you pray with us and as you sacrifice through going and giving. The pictures above give a brief snapshot of follow up work in southern Haiti where many are still struggling after the hurricane devastated their communities. 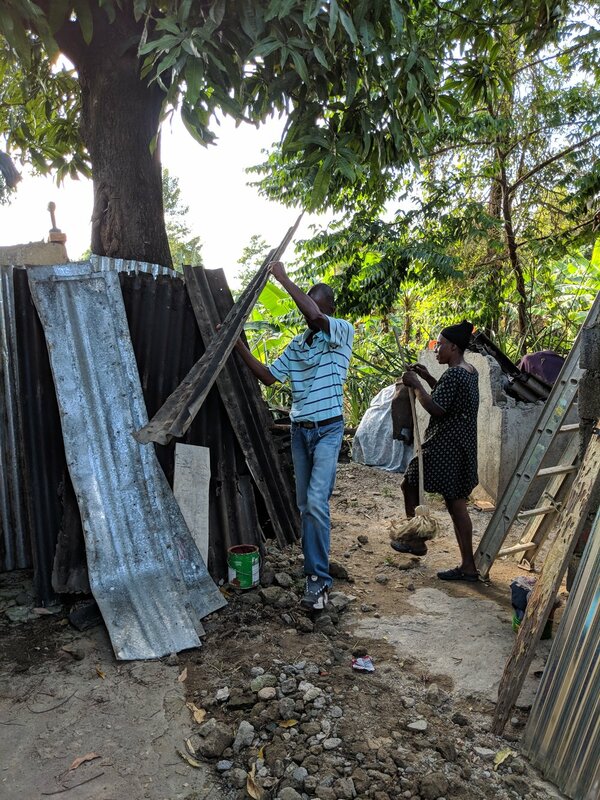 Here are some words from Luckson Previl, who has been working at See Him during the month of March and was part of the group who returned to the South to bring some relief: "It was heartbreaking to see the conditions that people are living in. We provided small business funds for 40 families and food, building materials and water to over 70 families." The pictures show some of that work including a house on which they were able to replace the roof. 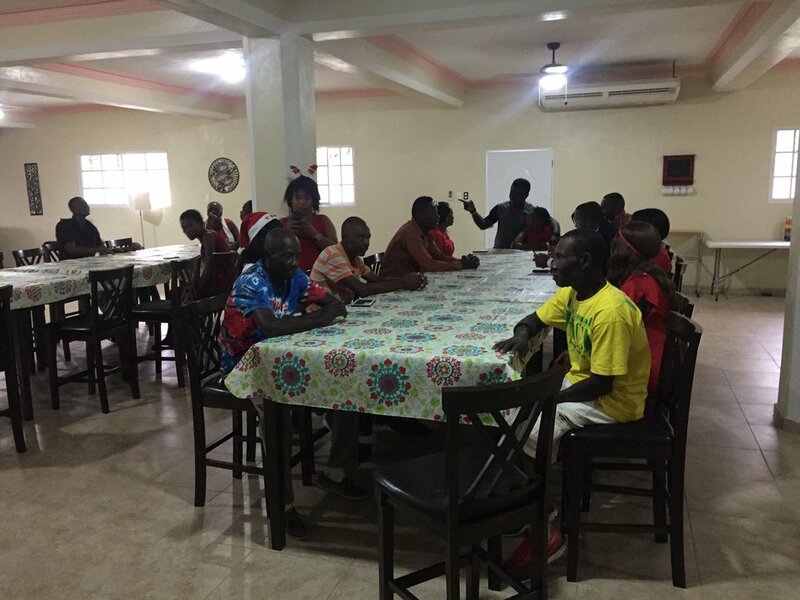 Also in the pictures above, we were thankful to be able to host a 2 day seminar at the Guesthouse for Children of the Promise which is a local organization that cares for some of the most vulnerable in Haiti - infants and young children who may be abandoned, premature, sick and orphaned. We were honored to support them as they gathered to continue to focus on the work that God has called them into. Thank you God for how you continue to lead and provide! See Him Ministries had the opportunity to host continuing education conferences on Saturday for local Haitian physicians and nurses. The speakers were Jerry Myhan, nursing professor at Harding University and Dr. Bob Lawrence, family medicine doctor from Nome, AK. 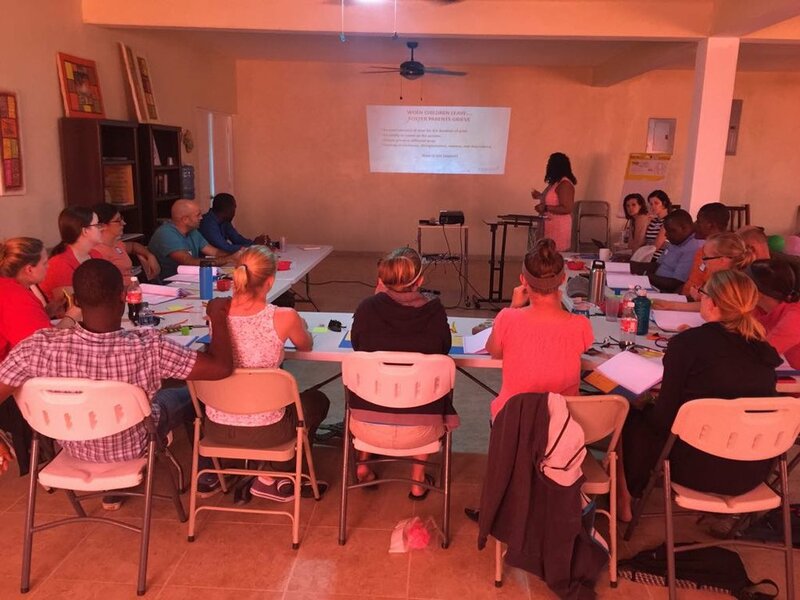 We are thankful to have been able to host 17 physicians and 27 nurses. We ask you to pray with us as we continue to look for ways to serve the community and to do what we can to help more and more to See Him.